This week Tina is back on the podcast with me to discuss starting a political internship program. 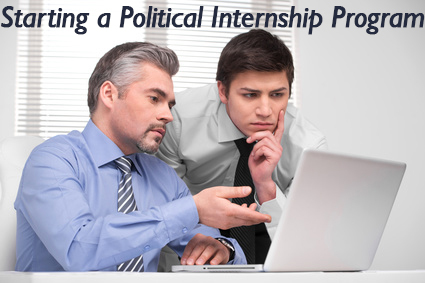 Whether you are running an organization or a political campaign, you should highly consider instituting an internship program. It will add lots of energy and excitement to your efforts while helping you get a lot of work done. You will also have the opportunity to influence and shape the next generation. I am excited to have Tina join me today because we both have run lots of internship programs for political campaigns. Tina is going to share her knowledge and experience with us so that you can learn the most important steps to starting a political internship program for yourself. If you want your campaign to have the most impact today and in the future, then you need to listen to this podcast! This entry was posted in Podcasts and tagged candidate advice, candidate for local office, political internship program. Bookmark the permalink.